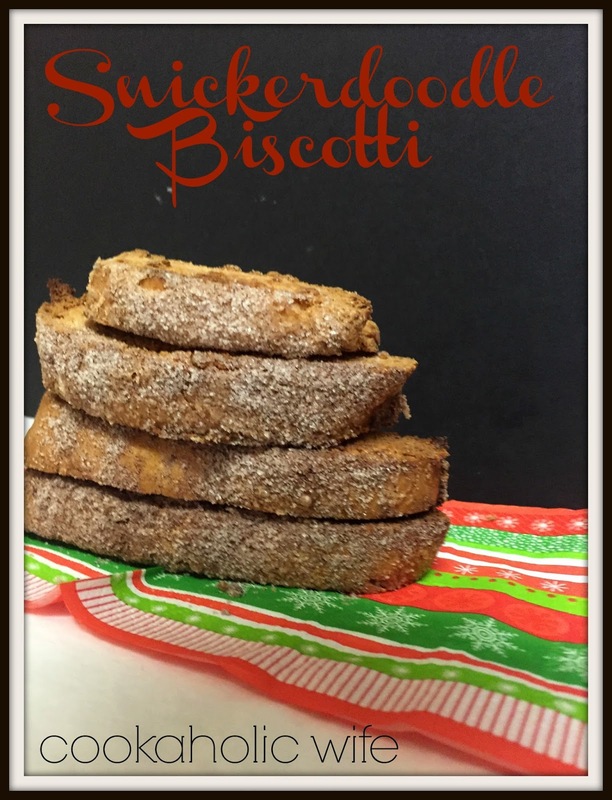 The What’s Baking theme for this month was biscotti. I first made biscotti a few years ago as part of a Secret Recipe Club reveal and found I really loved those hard little cookies perfect for dipping into coffee, hot chocolate or tea. 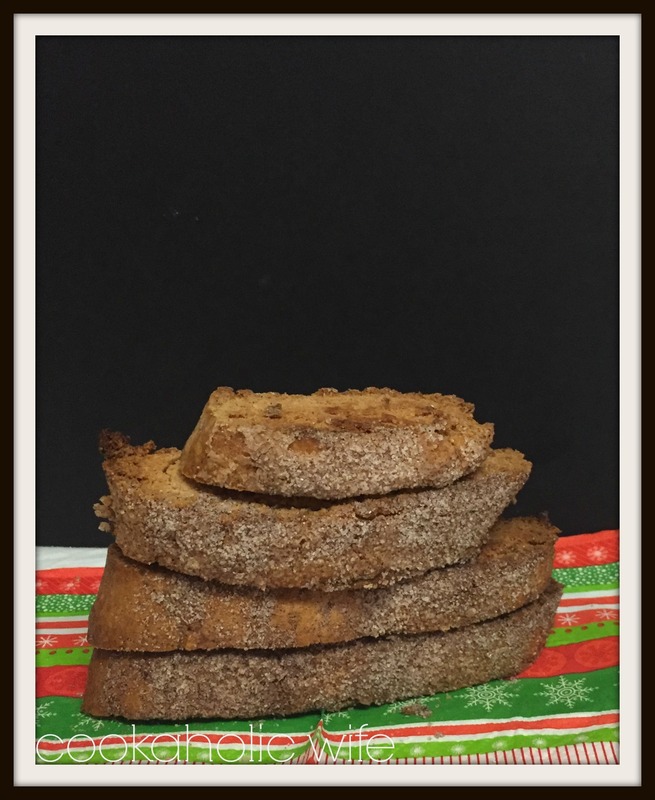 Since the holidays are quickly approaching it only seemed fitting to make a holiday flavored biscotti for What’s Baking. I have more than a few saved and the peppermint one almost won out until I realized I’d been flooding my guinea pigs coworkers with peppermint flavored goodies recently. And there’s also the little issue that for some reason I’m unable to bake a snickerdoodle cookie so these biscotti would just have to curb that cinnamon sugar craving. 1. Preheat the oven to 375. Line a baking sheet with parchment paper. 2. In the bowl of a stand mixer, beat together the butter and sugar until light and fluffy, 3-5 minutes. Then add in the eggs one at a time, followed by the vanilla. 3. Meanwhile, in a medium bowl, whisk together the flour, cinnamon, baking powder and salt. 4. Slowly add the flour mixture into the stand mixer and mix until combine. The mixture will be thick. 5. Turn out the dough onto a lightly floured surface and divide in half. Shape each half into a log, approximately 4 inches wide and 10 inches long. Place each log onto the prepared baking sheet. 6. In a small bowl, whisk together the egg white and water. Brush over each log evenly. In another small bowl, stir together the sugar and cinnamon and sprinkle over each log. 7. Bake for 25 minutes or until lightly browned. Remove from the oven and allow to cool on the baking sheet for 10 minutes, then slice each log diagonally into 1/2 inch slices. 8. Place each slice cut side up on the parchment paper and bake for 15 minutes. Flip each slice over and bake for another 10-15 minutes or until crisp. 9. Cool completely on a wire rack and then transfer to an airtight container for up to 2 weeks.